Paying taxes is a weird and sometimes a confusing thing for almost anyone but tax preparers. Estimated taxes isn’t an exact science so I’m going to preface this conversation with… consult your tax advisor to discuss the specifics of your tax situation. They will be in the best position to tell you if you should or shouldn’t be paying quarterly taxes and if you should be, how much you should be paying and how to pay them. I’m sure you’ve heard the terms thrown around. Estimated Taxes. Quarterly Taxes. But do you really know what they are and if they apply to you? If you or your business is based in the United States, the short answer I have for you is YES. You should at least education yourself on business taxes and the requirements. In one of my other blog posts, How To Pay Yourself As A Small Business Owner, I talked about the importance of not only knowing your legal business structure but the tax implications and requirements of the respective structures. That applies to estimated/quarterly taxes as well… but not the way that you might think. >> Question: Is this your first year in business? >> Option #1 >> If your answer is yes, this is your first year of business, then the short answer is NO, you don’t need to pay estimated taxes. >> Followup Questions: Did you owe $1000 or more last year? >> Option #1>> If your answer is yes, then you should be paying estimated taxes. >> Option #2>> If your answer is no, then you do not have to pay estimated taxes. So now what? 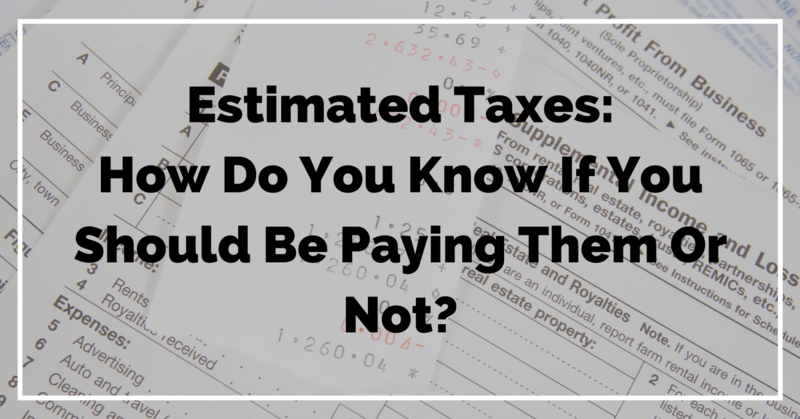 What do you do if you DO have to pay estimated taxes? What’s next? How Much Should You Pay In Estimated Taxes? Now that you know that you should be paying estimated taxes, you have a ton of other questions. How much do you have to pay, when do you pay them and how do you go about taking care of that? You need to figure out how much you should be paying.. .and there are two ways to get to your “should pay” amount to avoid underpayment penalties. This one is easy peasy, you can even have your tax preparer calculate it for you when you’re getting your taxes done and print out the estimated payment vouchers. To calculate you just take the taxes owed (on your 1040) and divide it by 4… for example, if amount you owed for last year was $25,000 then your 4 estimated payments would be $25,000 divided by 4 or $6,250. Note: If your adjusted gross income for the prior year was more than $150,000, kick that up to 110% of what you owed last year and proceed with the “divide by 4” calculation. 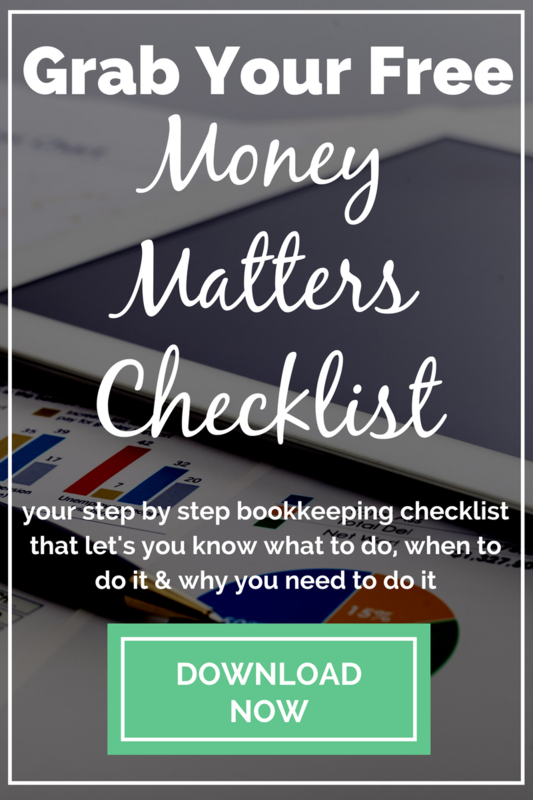 This option is tricky and quite frankly not one that I would recommend, especially if you are not working with a CPA or EA, because it requires you to know very early in the year what you will probably owe… and by early in the year, I mean March or April when your first estimated tax installment is due. When Should You Pay Your Estimated Taxes? We’re coming into the home stretch, we’re almost done so stick with me. Now that you know if you should be paying estimated taxes or not and you know how much you should be paying…you need to know WHEN you should send the money to the IRS. With very few exceptions, you should be sending them on April 15th, June 15th, September 15th and January 15th. Note if you should be paying estimated taxes and you do not, you will have to pay penalties and interest. Just the nature of this tax system that we know and love. That’s it for now… let me know if you have any questions or comments. You can either post them below or shoot me an email.